How Is Your Self-Image Doing These Days? Self-Image How Well Do You Think of Yourself? Your Self-Image Is The Mental Picture That You May Either Dwell Upon or Celebrate! What is it for you? Are you on a daily quest to improve your life and the lives of those around you or do you dwell upon those things that might never be? Think about these questions an once you can answer them with a clear and precise answer then you will know where you stand with your own self-image and good or bad it leaves you with a starting point. You see personal development is not something that you fix in a day or a week, it is a lifelong journey. Improving your self-image is an important part of the journey and you can make it exciting and full of anticipation or you can choose to be defeated before the journey ever begins. I know you want more than that for yourself and for those around you and strengthening your self-image can do more for your life than most anything else. So how do I know you want more for yourself? I know because you are here reading this very sentence. I also know that if you always search for ways to improve your life you will build a strong healthy self-image and this will have the most positive and profound affect on the remainder of your life. You can do this and I believe in you! Self-Image To Be What Ever You Dream To Be! A strong healthy self-image will open more doors to success in life than any other characteristic held by each and everyone of us. Nothing on Earth happens purely by accident, a person is living because they were meant to live, and we all have talents and abilities totally unique to our-self. These qualities help to construct your self-image, one of the most important qualities of all personal development. Your job then as a person is to learn to be yourself, if you do you will like yourself and you will find out that your quite a person after all. You will recognize and accept the things that you cannot do as well as others and you will understand and appreciate those things that have been given to you to do well. You will learn to accept yourself for what you are, one of a kind as different from every other person on Earth as your fingerprints are or your signature. It is when you can realize your uniqueness and gifts, special to you alone, that your self-image will be at its best. There is a trend in the education of our young people that has been developing strength for the last few years, all signs show that it is an important one, a part of learning that will continue to flourish as long as we seek to expand our human potential. I am not speaking of genetics or computer science, but the building of your self-esteem and self-image. The more we search outward the more we discover inward. When faced with problems or stumbling blocks do you first seek for the answer within yourself or do you seek elsewhere for the answer or solution? A person with a healthy self-image and high self-esteem will search inward for the answers and believe in themselves to come up with the solution to whatever the problem may be. The greatest discovery of all is that of the strength in ourselves to live a life unshackled from the bonds of self-doubt. Let us explore the essence of personal courage and see how this inner strength develops as a vital by product of a healthy self-image. One of the few things in life that a human can actually create out of thin air using only his mind, is the self-image. This determines how you react to your own thoughts, to other people, to the prospect of threat or challenge, all these things form a body a strengths and weaknesses that are unique to each individual, they are truly self-created. Let us examine a number of these strengths and weaknesses and the affect that fear can have on the creation of your self-image and self-esteem. We should all understand the importance of forgiveness and the value of praise in the raising of self-esteem in others as these acts will in turn strengthen your own self-esteem. As you continue reading I will share my thoughts on the power of a strong, personal self-confidence and on what some consider to be the rarest quality in human life—calmness! Control your confidence level by controlling your thoughts … stop self-defeating behaviors and begin self-confident ones … see yourself as others see you and easily change their perceptions. 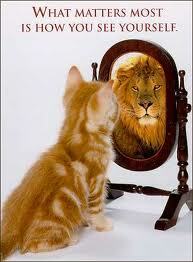 When you improve your Self-Confidence your Self-Image is not far behind. Imagine that your seated in a theater looking at the curtain which hides the blank screen as you wait for the feature picture to begin. What will this picture do for you? How will it affect you? What impact will it have on your life? Will you feel moved, perhaps even to tears, will you laugh at a comedy or feel terrified at the crisis faced by the hero or heroin, will you feel wonderful waves of love and compassion or surges of resentment? All these feelings will pulse through you and more, for the picture you will see is about the most fascinating person in the world …… Yourself! In this theater which is in the mind and heart of each of us, you are the producer and directer, writer, actor or actress, hero and the villain. You are the film technician up in the booth, and the audience that reacts to this thrilling drama. The exciting story unfolding upon this inner screen, is one which is invented every second of your life — yesterday, tomorrow, but most important of all, today, right now! You watch that image upon that screen and you invent that image upon that screen everyday of your life. Will that story have a happy ending? Is it full of happiness and success or sorrow and failure? The storyline is already there and the discerning eye can tell the direction in which it will go. But one realization can comfort you, since you are the dramatist, the actor, the director you can change the story as it unfolds, right now, this instant and for your whole lifetime. The Show Is Yours, It Is All Up To You, This Is Your Self-Image! You and you alone can make this a success story, you can be the hero and conquer the villain. You can make this a heart warming story, which can enrich the lives of all those who know you or you can make this a drab mechanical tale, a chronicle of boredom. It is all inside you, it all depends on what you do with an image you carry inside you, an image which is your most important tool for good or for ill. It all depends on you and your self-image. The self-image is your own conception of the sort of person you are, it is a product of past experiences, successes, and failures, humiliations and triumphs and the way other people react to you especially in early childhood. You want your children strong and confident with a healthy self-image, especially in the face of life’s adversities. You want them to feel a sense of responsibility, a desire to do the right thing without being told. From these factors, and from others you build up a picture of yourself which you believe to be true, you are shaping your own personal self-image. The picture may be false and in many cases it is false, but the important fact here is that you act just as if it were true, for all intense and purposes it is true. If it is a good healthy, successful self-image, great, but if it can stand some improvement you can change it for the better and start getting the kind of results such a change will bring about. Our thoughts and habits, even our abilities match those of the person we believe ourselves to be. We can set new limits in place of old ones but we cannot surpass the limits of our current self-image which determines the type of person we become. We can however remove our self-imposed limitations by changing that main feature playing out on the picture screen within your own minds eye. We form that mental picture of ourselves through experience, and we can change that picture the same way, through experience. If the actual experience we need is not available to us we hold the power to create the experience we desire within the realms of our conscious and subconscious mind. Scientist now agree that the human nervous system is incapable of distinguishing between an actual experience and the same experience imagined vividly and in complete detail. Worry is a good example of this imagined experience, when a person worries about something he projects himself mentally, emotionally, even physically into a situation that has not even occurred. If you constantly worry about failure soon enough you will experience the actual feelings that accompany actual failure and you know what pays the biggest price? That’s right, your self-image! You will have feelings of anxiety, inadequacy and humiliation because as far as your mind is concerned you have already failed. When you concentrate on failure intensely enough you give yourself very little chance of experiencing anything other than failure. My Mother, whom I consider to be, psychologically the strongest and wisest person I have ever known has repeated a statement to me whenever I am experiencing my own troubles with worry, fear and doubt. Take a moment and think about that statement. With all the problems in the world, why would you add worry to your life? Why take an instance that has not occurred cause you stress, fear and doubt? 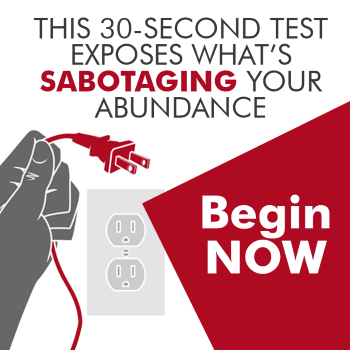 This is pure and simple “Borrowing Trouble,” but not only is it wasting precious time it will damage your self-image as it creates a feeling of inferiority and a lack of control. Now everything can be viewed in either of two ways, positively or negatively, constructively of destructively. Worry is the negative use of creative imagination, it is a negative synthetic experience. But most people apparently never realize that positive results just as real as the negative results of worry, can be achieved through using your imagination constructively. If you continually worry about failure, doubt and fear you are defeating yourself but you have the power to change your situation. You must use the creative spirit of your mind, you must start visualizing success, hold a mental picture as vividly as possible and full of positive emotions, this very act holds the power to improve your life at every level. Instead of anxiety, doubt and fear you will develop confidence, a healthy self-image, self-assurance and poise. By concentrating on the success you desire and vividly imagining yourself achieving that success you expand your self-image into that of a person for whom success is normal and expected. Why not practice holding the self-image of the person you most want to become within the depths of your conscious mind, when you do, this is the person that you will become. Use your spare moments to concentrate on your goals and the greater success that you seek. Put more into the positive use of your imagination then you ever put into its negative use such as worry. This will reverse the same creative process it will now be working for you instead of against you. All too often, almost unknowingly we set unnecessary limits for ourselves, by holding a self-image that is restricted and inadequate for the full realization of our potentialities. Each of us is, at this moment the product of all our thoughts and experiences, and environment up to this point. Through thought we can control to an almost unbelievable degree both our experience and our environment from here on. Whether or not we choose to direct our own course through life is entirely up to us. The important thing is to know that it can be done. First, forgive others, with no strings attached, you must clean the slate absolutely, forgive every person against whom you might hold some kind of grudge, clean the slate. You do this for your own sake, your own peace of mind, we don’t hurt others when we hold hatred towards them, we hurt ourselves. If you cannot take this first step you may as well stop right here because you just haven’t grown up yet. Second, you must forgive yourself, see yourself with kind eyes. You must try to forget every idiotic thing you have ever done, the pain you have given to others, the embarrassments you have suffered, the mistakes you have made in the past. Forgive yourself, wipe clean the slate, look in the mirror and forgive yourself, practice this and you can actually pull it off. Now it is not always easy to forgive ourselves, we tend to be much tougher on ourselves than we are on others, but the fact is blame does not help it is a completely destructive emotion. Third, see yourself at your best, you can start your day in frustration or in confidence, take your pick. Now the intelligent thing to do is to choose confidence, if it’s at all possible. Now there are bad days but it is much better to begin your day in a confident mood, then in a mood of frustration. When you hold a high healthy self-image you will have the ability to make this choice. Forth, but none the less important than the other steps, remember this is for the sake of your own self-image. Keep up with yourself don’t worry about what others are doing or have done or have, keep your pace it is different from the pace of others, it is faster then some and slower than others. Forget the “Joneses” and do not feel guilty about moving ahead of some of your contemporaries. The person who slows himself down just to be one of the gang is a fool. keep up with yourself, live the life you want to live, earn what you want to earn in serving others and do what you want to do. Live your own life and do not waste your time or energy being concerned about how others are living theirs. There you have it, four steps to a healthy self-image, one forgive others, two forgive yourself, three see yourself at your best, choose confidence instead of frustration, and four, keep up with yourself march to the beat of your own drum and do not worry about what others are doing. The key is to “Know Thy Self,” the only reason people have a feeling of inferiority is because their thinking is based on a false premise and that false premise is the result of comparing yourself to other people. This is something you should actually never do because no two human beings are exactly alike, there never has been in the history of the world. Everyone in life is inferior to everyone else in certain areas and superior in other areas. Inferiority and superiority are the reverse sides of the same coin. To be your own individual self is the best you can be, and you need not put limits on yourself. Anyone could make themselves feel inferior if they didn’t realize they were unlike any other human being that ever lived. If you understand fully and completely, intellectually and emotionally that you are a unique and different individual you cannot have an inferiority complex. How could you? Since there is no standard against which to judge since everyone is different. You must accept yourself for what you really are, one of a kind as different from anyone else as much as your fingerprint or signature. So, in the light of knowledge an inferiority complex is a phantom a ghost with no real substance and with your knowledge it disappears. So, you see you build your self-image from the beliefs that you develop about yourself, then this self-image determines the way you interpret others reactions to you. Of all the pitfalls and traps in life, self-disesteem is the deadliest and the hardest to overcome. This is a pit designed and dug all by yourself summed up in the phrase “It’s no use, I can’t do it,” the price of succumbing to it is a heavy one, both for the you in terms of material rewards lost and for society in gains and progress un-achieved. On those days when your most subject to fearful unbelief in yourself, when you most doubt yourself and feel inadequate to your task. Are those not the days when you are the hardest to get along with? You simply must get it through your head that holding a low opinion or yourself is not a virtue but a vise. Jealously for example which is the scourge of many of marriages is surly caused by self-doubt. The person with a high self-esteem never feels hostile towards others, he is not out to prove anything he can see the facts more clearly and he isn’t as demanding of his claims on other people. His or her self-image is strong resulting in a good healthy self-esteem. To begin with, stop carrying around a mental picture of yourself as a defeated, worthless human being. Stop dramatizing yourself as an object of pity and injustice. Why would you be in such awe of the stars, the skies and the seas, the beauty of a flower but at the same time downgrade yourself? Did not the creator of all those wonderful things also create you? You should appreciate your own self, this is in noway egotism unless you assume you made yourself. You really must learn to appreciate yourself. Never judge yourself based on a particular action, never carry yourself with such low self-esteem. If you are not putting your all into being the person you can be then you are killing your self-image. It is up to you to stop! I am giving you the tools but I cannot put them to use for you. Although if you are struggling and no matter what you try fails to help the option to contact me is always there, I open and read all my emails. There is NO shame in seeking the help of others in this world, it would be a cold bitter place if we failed to help one another. The Biggest Secret To Having A Positive Self-Image and High Self-Esteem! Begin to appreciate other people more, show respect for any human being, really practice treating everyone as though they have real value, because everyone does in their own unique way. If you do this you will find the good in people and you will begin to see the value in yourself. You really are the master of your own self-esteem. Real self-esteem is not derived from the great things that you have done, the things you own or the mark you have made, it is built out of the appreciation you have of yourself for what you are. If your lacking in self-esteem it’s because you don’t understand who or what you really are. If you take the time to learn more about yourself you will be delighted at what you discover. The self-esteem that comes from knowing we can be in charge of our own lives, I think that this is what gives us self-esteem. All of a sudden we realize that we are captain of our own lives, we are in charge. You see we are all born with a good self-image and self-esteem but as time goes on we are ground down and our self-image takes a beating, leaving us in a hole that we must dig ourselves out of. We really must learn to not react to others but act toward others. This lets us live as the person we want to be, we act in the manner that we chose, it is the person that reacts to others that really relinquishes his own control over himself. Never let anyone else dictate how you are going to behave, if someone wants to be miserable don’t give them the power of changing the person you want to be. This makes you a person of high quality. There is an inner balance that gives us strength to avoid being dragged into a reaction mode by other peoples negativity. Taking control, being confident and not being held back by the short sightedness of others is the way you want to be. You really want to hold yourself in high esteem and appreciate your own value and respect the intrinsic value of everyone around you. Overcome anything that has ever had a negative impact on your life and your self-image and I promise you will come out on top. Thank you for the awesome comment! Nothing makes me happier than to know that in some small way I have helped to improve someones life. Your comment really means a lot to me and I thank you for sharing. I APPRECIATE ALL THE GOOD WORK YOU ARE DOING RIGHT HERE. I KNOW YOU HAVE HELPED IN CHANGING MY WAY OF THINKING. THROUG WHAT I HAVE READ SO FAR, I HAVE STARTED SEEING A BETTER ME AND THINKING POSITIVELY AND THIS MADE ME TO FEEL GOOD AND HAPPIER. ALL THANKS TO YOU.